ALAFCO, the Kuwait-based international Aviation Lease and Finance Company, has signed an agreement for six more Airbus A350 XWB aircraft. This repeat order brings ALAFCO’s total order for the A350-900 to 18 aircraft. ALAFCO placed its first order for the A350 XWB in 2007 when it ordered 12 A350-800s. These were later upsized to the larger A350-900 in 2010. The A350-900 typically has a capacity of around 40 more seats than the A350-800. In addition ALAFCO has signed an agreement for 30 Airbus A320neo aircraft. ALAFCO already ordered 26 A320s of which 25 have been delivered. Including this order, it shall then take ALAFCO’s total order for Airbus single aisle aircraft to 56. Recently-merged AviancaTaca, which includes subsidiary AeroGal of Ecuador, has signed a Memorandum of Understanding (MoU) for 51 A320 Family aircraft, including 33 eco-efficient A320neo. Once firm, the order will be the largest order for A320neo in the region and also the biggest from a single airline in the history of Airbus in Latin America. Republic Airways Holdings Inc., the parent company of U.S.-based Frontier Airlines signed a memorandum of understanding (MOU) for 40 A320 New Engine Option (A320neo) aircraft and 40 A319neo aircraft. The commitment makes the company a launch customer for the A319neo. Republic subsidiary Frontier currently operates 58 Airbus A318, A319 and A320 aircraft. Republic has selected CFM International’s LEAP-X engine for all 80 of their new A320neo and A319neo aircraft. IndiGo, India’s largest low-cost carrier, has firmed up a historic order for 180 airbus single aisle aircraft. The firming up of the order for 150 A320neo and 30 A320 follows the Memorandum of Understanding (MoU) signed earlier in January. 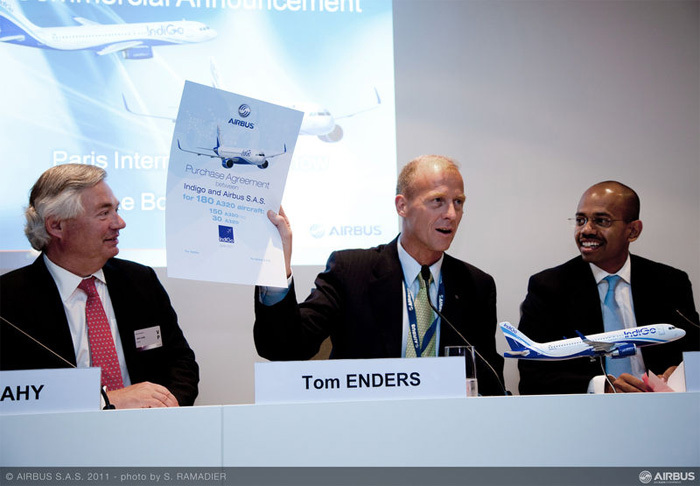 The order makes IndiGo one of the A320neo launch customers. Engine selection will be announced by the airline at a later date. LAN Airlines, one of Latin America’s leading passenger and cargo airlines placed a firm order at Le Bourget Airshow for 20 A320neo aircraft as part of its expansion strategy and fleet renewal program. Engine selection will be announced by the airline at a later date. The A320neo is offered as an option for the A320 Family and incorporates new more efficient engines and large “Sharklet” wing tip devices, which together will deliver up to 15 percent in fuel savings. This will represent some 3,600 tonnes less CO2 per aircraft per year. In addition, the A320neo will provide a double-digit reduction in NOx emissions and less engine noise. This purchase agreement, which brings LAN’s total Airbus orders to more than 170 aircraft, comes just months after LAN bought 50 A320 Family aircraft in December. The airline is slated to start operating A320s with Sharklets as of 2013. Skymark Airlines, Japan’s third largest and fast growing airline, placed firm orders with Airbus for two more A380 aircraft. This latest purchase agreement brings the total number of A380s ordered by Skymark to six aircraft. The Japanese carrier plans to start operations with the A380 on international routes linking Narita to destinations in Europe and the U.S.
India’s GoAir, “The Fly Smart Airline”, has selected the A320neo for its long term fleet expansion plans with a firm order for 72 aircraft. Airbus delivered GoAir’s first A320 in 2007 from its original order of 20 A320s placed in 2006. The airline currently operates 10 A320s with an average age of two years which makes it the youngest airline fleet in India. It’ll take delivery of the other 10 aircraft over the next two years. 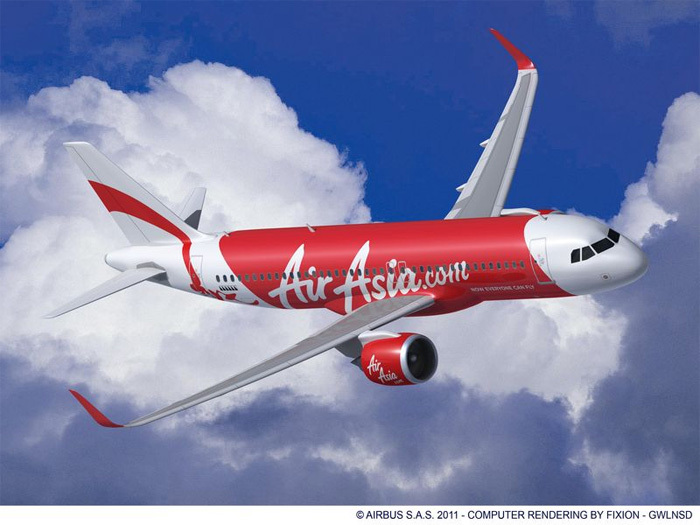 AirAsia, the largest low cost airline in the Asia-Pacific region, has placed a firm order with Airbus for 200 A320neo aircraft. 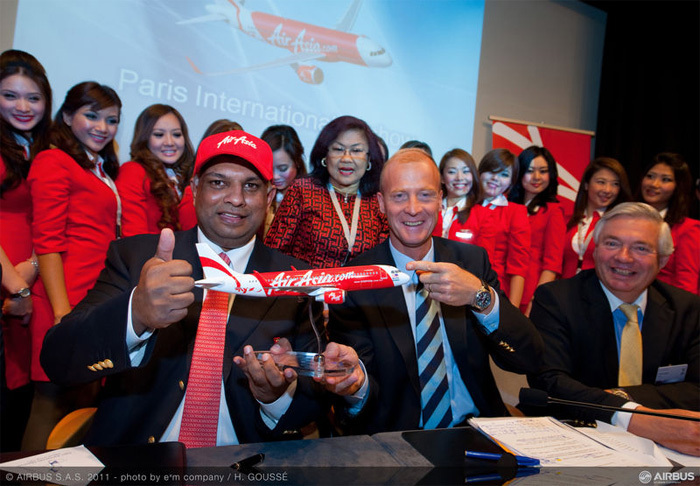 The contract is the largest order ever placed for the A320 Family and makes AirAsia the biggest airline customer for the Airbus single aisle product line worldwide. AirAsia announced that its A320neo aircraft will be powered by CFM International’s new LEAP-X engines. Altogether, AirAsia has now placed firm orders for 375 A320 Family aircraft, with 89 already in service on the carrier’s fast-growing pan-Asian network. In addition, the carrier’s long haul affiliate AirAsia X is also an all-Airbus customer having placed orders for 38 widebody aircraft.